For 2019, we’ve fully redesigned our corporate and group packages, open to parties of 5 and up. Experiences are never better than when they’re shared. 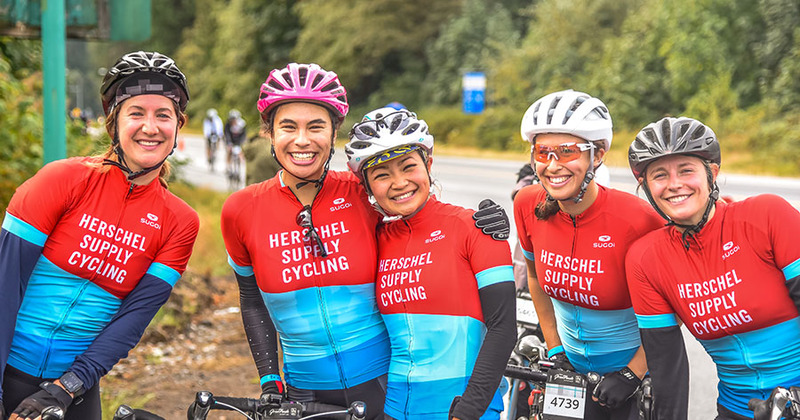 At RBC GranFondo Whistler, we believe in bringing people together to create memories that mean more. Choose to ride as a team and not only will you get to celebrate together, you will also receive other group-only perks. You’ll receive included benefits at tiered discounts depending on the size of your group, as well as being able to choose from customizable add-ons depending on your needs. We’ve built in single invoicing, as well as a downloadable info sheet, making getting your group to the startline easy and rewarding.